Intoxicated honey – is not vodka with honey, as many believe, but rather a low-alcohol beverage from four to eighteen degrees. It can be compared with beer or wine. Their production is similar. Take natural, good honey, mixed with water in a ratio about 1:2. Then simmer a couple of hours, pour into a bottle. Then settle 1.5 months, and mead is ready. Actually, such honey can be stored up to six months. Everything depends on the preparation technology. The stronger and sweeter drink, the longer it is stored. 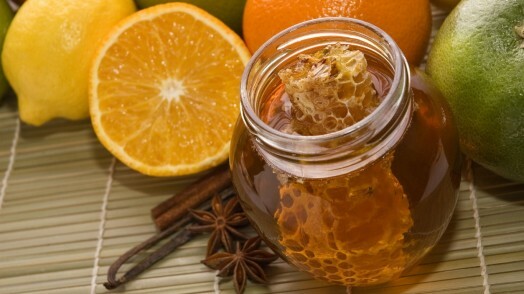 In addition, the popular soft drink made from honey: kvass, sbiten. There is alcohol, but in small amounts – within three percent, because it is also a product of fermentation of the honey. 20 pounds of good honey and 9 spoons of cinnamon put in 6 buckets of water, boil in the pot until there are three buckets. Then remove from heat and let cool as milk. Then take French roll, cut it around, coat thoroughly with the best yeast, omit the pot, put the same small pinch of hops – how much you can take with three fingers. If it ferments too weak, you can also add two tablespoons of yeast. After one hour of good fermentation you remove the loaf, strain, pour in a good very sturdy barrel, put the following spirits tied in muslin cloth, namely cardamom 9 spoons, orris 9 spoons, cloves 6 spoons, 0.25 pounds of sturgeon glue. Cork sleeve in the barrel, as it is possible stronger, put on ice for 12 days, then pour into bottles, cork, tar and keep cool, you can drink in 2 months. This honey is cooked the same way as the “excellent honey“, but do not boil six buckets of water in the pound of sugar, but only 5 and boil down until there are four buckets. Then remove from the heat, pour, in half an hour put in the syrup freshly squeezed raspberry juice and stir. When almost cool, put the yeast. Then do so, as it said in “excellent honey”, if the color of raspberry sugar honey is too bright, then put cochineal, do not rub raspberry juice through a sieve, but squeeze in a vise, as oil. NOTE . 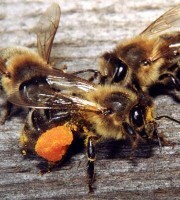 Thus, honey is brewed from any other berries. This honey is prepared the same way as in the previous recipe (“excellent honey or raspberry”), instead of raspberry juice put the juice of black currant, which is squeezeed, if the color is too bright, put blueberries. Is prepared in the same way as “honey sugar”, but instead of the lemon peel put orange peel from 30 oranges. For the preparation take the best, pure honey, without any admixture of wax. 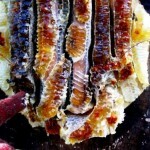 Take good iron or copper pot, pour in a honey and two 0,79 gal of honey and 1,6 gal of water, stir and put on a plate. Boil for 3 hours on a flat fire. After these 3 hours, put hop in honey drunk, tied in a rare rag. Put a clean stone so hop remains at the bottom. Put 6 pieces of hop. Then boil 1 hour and at the end of the hour pour hot boiled water, because when honey boils, it usually goes up, so that it is much less, when completely cool. After adding the water, boil again, cover and set aside. 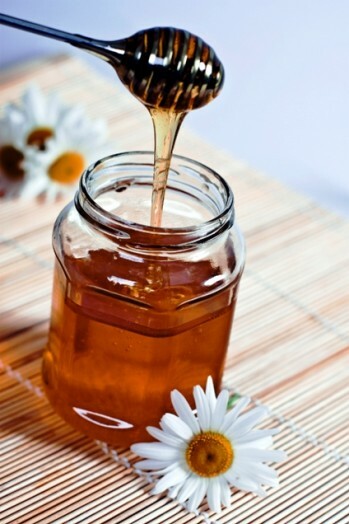 While honey is still quite warm, pour it through a rag in a wooden or glass container, but fill up four-fifths only, cover with tulle and put in a warm place 18 to 20 degrees C (64-6 F), in the stove in winter, and in the sun in summer. After 2 days honey begins to foam or fermented. 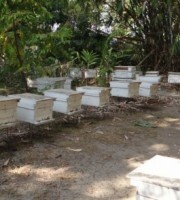 If the honey is on the lower temperature, it will not come to ferment, but will even mold and rot. The place is warmer, the honey is ready sooner. Usually it is required 3-5 weeks. 3 weeks later have to listen, if honey is very noisy, leave him. If it stops to sizzle and has smell of honey and strength, that means he’s ready. Generally, if you want to have a stronger honey, you should let it to stand still in the heat until no hiss, and if you want it to be weaker and more sweet, you can drain it, when it still sizzles. Before you strain it, pour a cup of tea essences derived from one teaspoon of tea and a cup of hot water. Do not mix liquid honey, but drain carefully, filtering through the flannel, and even repeat it several times, until the honey is not completely clear, transparent. Strained honey is already eatable, but after six months it will be better, and in a year – excellent . Generally, the longer the stay, the more it will get better and better, even in twenty years. Thoroughly mix 20 liters of drinking water with 6 kg of honey and 4 egg whites. Cook over low heat for about an hour. Put a bunch of rosemary, 1-2 g of ginger, 2-3 g of mace, 5-6 g of cinnamon, 6 cloves. After clarification of honey ingredients surface in the boiling. Cool beverage to 25-30 ° C (77-86 F), filter in the barrel, add 1/2 cup brewer’s yeast (30-40 g). Fermentate at 17-20 ° C (62-68 F) for 5-6 days. Put keg in the basement and stand for 7 months. Then pour into bottles and store cool. Fourth of bucket of buckwheat (or lime) honey, half a bucket of water. Stir well, boil for 3 hours. Add 80 grams of hop in a linen bag with granite loads. Boil for another 1 hour. Drain warm honey to the vessel to 4/5 of its volume. Wait quiet fermentation at 18-20 C (62-68 F) for 3-4 weeks. Add to drink 10 ml of tea leaves and a cup of boiling water before filtration, leave for 6 months, then to bottles. Honey is diluted with water, removing the foam, boil on low heat, put a bag with hops, remove the foam again, boil to the desired thickness, cool slightly, remove hops and pour into a keg. Put spices in a bag, put yeast in slightly warm drink, let fermentate for 1 day, close and put in cold, dry place. More honey is persistent, it is tastier and stronger. 1.5-2.5 cup of wine or brandy. First dissolve honey in 1 bucket of hot water, then pour into a 5-pail barrel and immediately add 4 buckets of cold water, put the yeast. Stir with a wooden paddle and left in room temperature. After 3-4 days, the mixture comes to fermentation. 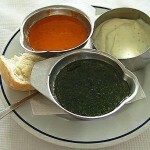 After about 1 week, pour wine or brandy, depending on what kind of taste and strength you want. 2 weeks later, when the fermentation is over, the barrel is tightly sealed and put in a cool place where the temperature should not exceed 5 degrees C (41 F), and store there for half a year, until the liquid becomes clear. Then bottle and store in a cool place. 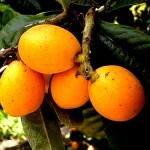 It turns pleasant, aromatic, healthy and quite strong drink. Put 10 buckets of water and 65 pounds of red honey in an open pot, and then repeatedly filter through a bag, in which you put 10 lbs. of dried blueberries. Add 5 cups of yeast, clarify with three spoons of isinglass. Put 6 drops of rose oil in a bucket. Before bottling this honey should be stored in a cool place for two months or it will be muddy. It can be stored for about a year. take two pounds of sugar and 10 pounds of ginger into 10 buckets of water, drop the same ginger in the bag then into the keg. For fermentation put 7 glasses of yeast. Pour in small bottles in 21/2 months. If it is clogged, it can stand for a few years. 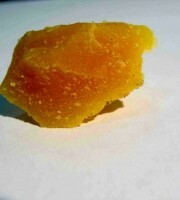 Dilute 35 lb. of honey in eight buckets of water and cook until it is boiled down to half, carefully removing the foam. The cooled liquid is poured into a clean barrel with walls smeared with sour rye dough, pour 0,3 gal of yeast and leave to ferment until the honey is warm as milk. At the same time, put 10 spoons of cinnamon , 4 tsp. of cloves, 2 tsp. of cardamom , 1 tsp. of pepper, 3 tsp. of ginger. When honey ferments, leave it for six months, tightly resealed. OPTION II. Dilute 6 lb. of the best white honey in two buckets of water and boil, constantly removing the foam, as long as the solution is thick as molasses. Then pour it through a strainer. Drain warm honey into a barrel and put a good yeast from white beer. If fermentation is quite strong, then put a glass of vodka on each bucket, and honey becomes solid and clean. Mix and heat, removing the foam, and then pour into a wooden tub. 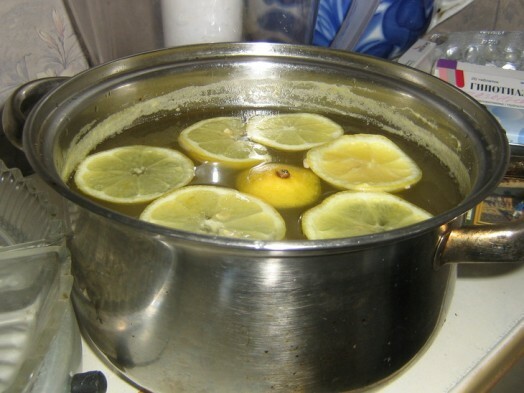 Drop zest from 12 lemons, add eight tablespoons of brewer’s yeast and drain into the keg, often shaking for four days, and then leave to stand for twelve days. Finally, bottle and keep in the cold. OPTION II. Having dissolved a good twenty pounds of honey in four buckets of water, boil, removing the foam; put different herbs and continue to boil down until it boils away half the water. then put the brewer’s yeast, as above. 20 pounds of good honey pour in 4 buckets of river water, put on fire and boil, removing the foam and gradually add cold water until the honey is clean as amber. Then merge it into the tub, and cool, adding the yeast with white bread. Once the honey starts to ferment, remove the loaf, remove the foam and pour honey through a sieve into the keg. After take ten oranges, wipe zest for sugar from half of them, cut zest with knife from the other five oranges , and put peel and sugar, peel of 1/3 lb. of violet and 8 tsp. of sturgeon glue in the barrel with honey, remove the seeds from orange pulp, cut it and put in a pot, add honey and boil, strain through a cloth and pour in the keg. Reseal and brush it with clay, put in a cold place for twenty days and then pour into bottles. Put five pounds of honey in a bucket of water, put 0.5 gal of brewer’s yeast and 1 pound of flour and 0.5 gal of honey water. Boil 1 lb. of hop in a bucket of water, pour into the same pot and put in a warm place for 3-4 hours for fermentation. Then pour in the dissolved honey and into the barrel, put it in a cool place where the liquid ferments for three days. Strain honey, pour it into another barrel and allow to roam more for 8-12 days, adding half a pound of raw honey every day so drink has not lost its sweetness from the long fermentation. Collect birch sap in early spring and put 12 ordinary glasses of it for every pound of pure honey, cooking over a small fire for an hour. Once drained into the keg, put loaf of rye bread smeared with yeast. When the keg noise stops, pour the liquid in the bottle, and bottle up well, put in the cold. Boil 10 buckets of honey in a usual way, cook 3 pounds of molasses with 2 lbs. fresh mint leaves to give it the green color and put it together with the honey in a barrel. Put another 5 tsp. of isinglass, seethe it in water with mint. Put honey in a keg and store quietly for about a month, pour it into the bottles. Boil in water 12 pounds of good currants, cleaned of twigs, until it softens, then pound it with wooden pestle in wooden mortar and rub through a sieve. Put pureed in the water in which currant was boiled , adding six bottles of molasses and fresh boiled water to get one and a half buckets. Cooking is not very long, removing the foam, then take off from the heat and cool. Put 8 or 10 egg whites to clean honey . Make honey cool as milk, pour it into the barrel and put the yeast of white beer, and after it ferments, pour into the barrel, and seal, leave for a few months in the cold. OPTION II. Pound selected pure currants in a wooden mortar and then mix with water and molasses in the same proportion: 20 lbs. currants and sugar syrup and 3 buckets of water. Boil mixture, adding water as much as it evaporates. Boiling and cooling can be done in an open container. Pour cooled liquid together with shells and seeds of berries into the barrel, put a cup of yeast for quick fermentation, and when the yeast little ferment, pour about 20 drops of black Peruvian balsam, dissolved in a strong wine. Then put solution of fish glue and put in the cold. After 10 days, the honey is bottled, but shells of raisin grapes should not fall in it. You need 3.5 gal of cranberries for 20 pounds of honey. Dilute honey with four buckets of warm water, pour it into the pot, boil, removing the foam, and when there is a liquid foam, pour juice, squeezed from cranberries in the liquid, and once boiling, cool before hand can tolerate, and then pour into the barrel. Soak five tsp. of fish glue in the same honey, cut it finely, put together with the powder of cinnamon, clove, violet. Take three tsp. of each and put them in a linen bags. OPTION II. Take 36 lbs. of the red-raw honey and 3,5 gal of cranberries. Take as much water so after a half an hour of boiling you get 4 buckets of wort. After cooling it in an open dish to 18 ° C (64 F), pour the wort into the keg through a sieve, pour two glasses of beer yeast, and after fermentation clarify it with a tsp. of glue. Dip in a barrel bags with 1/3 pounds. of orris root in coarse powder, which is poured by a half of tsp. of mint or 1 tsp. of lemon oil for flavor. Store honey in the cold not more than a week before pouring and then immediately it is ready for use. It is prepared in the spring of nival cranberries and subject to rapid oxidation. Instead of 36 pounds of raw red honey you can take 45 lbs. of sugar or 55 lbs. of potato molasses. Cook, as stated above, twenty pounds of white honey, ferment with yeast, add a bag of 12tsp. of cinnamon, 6 tsp. of cloves and 48 tsp. of violets, scalded with boiling water. Finally, put 5 tsp. of the fish glue and clog the barrel, put in ice. Twenty pounds of the best white honey is diluted in twenty bottles of warm water in the pot and simmer for about an hour, then let the liquid cool as milk, and add a good fresh yeast, and when the fermentation is over, pour two bottles of vodka and a bottle of wine. Add to this honey hop broth,mixed with broth from lime flowers, and give it three more days to ferment, so honey loses much of its sweetness. To make it more sweet, add twenty pounds of honey, boiled in a bucket of water until thick syrup, and store again, then pour through a sieve into a clean barrel with iron hoops and put in the cold. Honey is ready after four months or six months. 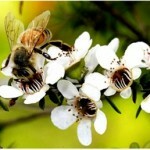 Good white honey is clear as water, has a sweet taste, aromatic odor, like the smell of linden flowers. Longer it is untouched, it is better. Boil honey, pour it in the tub and cool, put fresh juice of raspberry enough to make honey has raspberry taste. Then put the best yeast with a loaf and when the honey turns sour, pour it through a cloth into keg , add orris and fish glue, and then put in the cold for a month, after bottle and clog it, put in the sand. Dissolve 15 pounds of molasses in 2 buckets of river water, pour the solution into the pot and boil on a light fire, removing the foam, as long as one-fifth of the liquid evaporates. Filter the remaining through a flannel and cool, then pour into the barrel, adding yeast, put in the cold for six weeks to ferment. Close the sleeve of the barrel with a canvas. When the liquid in the barrel is fermented, then pound 12 gr. of nutmeg and cinnamon into a coarse powder and put in the bag into a barrel, then pour honey to the brim; plug the sleeve, leave. After six weeks, you can pour the honey into bottles. In hot water dissolve the sugar, and, if you like, add hops and boil. Pour into the tub and, when cool, ferment by yeast (twenty pounds of sugar – eight spoons of yeast). When honey ferments, pour it through a sieve into kegs. Then take a few of this honey, boil it with sugar and spices what you want, and add this broth in a barrel of honey, and when bottle. Boil 6 lbs. of honey in 4 gal. of spring water. Add the yeast and barley malt. Pour into a barrel. Then add water extract of spice plants (cinnamon, figs, mint), filter and pour into bottles, gum. Put in a cold room for 6 months to 1 year. 1.5 liters of beer or water, 1.5 liters of honey, 2 tablespoons of vinegar, 1/2 tbsp. of ginger, 1/2 tbsp. of pepper, 1/2 tsp. of galangal, 1/2 cup of vodka. Boil light beer, re-cooked on the remaining malt, or water, add honey, vinegar, ginger, pepper, galangal, simmer on low heat for up to 1 hour , stir in vodka and serve hot. For more sharpness you can put for 1 minute 1 pod of red hot pepper during boiling. Dissolve 150 g of sugar and honey in 1 liter of water, add spices (cloves, cinnamon, cardamom, ginger – to taste). Boil for 10-15 minutes, removing the foam. Let stand 30 minutes, drain, heat, pour two glasses of wine and drink hot. Pour 4 cups of water, put on the heat and boil. Add half a cup of sugar, 5 tablespoons of honey and a variety of spices (cloves, cinnamon, bay leaf – 1 pc., Cardamom – 2-3 pcs. 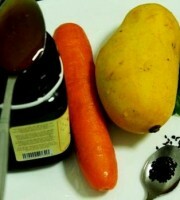 ), boil for 10-15 minutes. Pour 1 cup of good vodka in a pitcher and serve hot . Cook once a year, at the time of the birch sap. Birch sap flow starts early, around mid-April and lasts for about two weeks – until the leaves. Choose old trees for harvesting birch sap, at least 25 cm (9.84”) in diameter at the height of human growth. The most unpainful are two methods of birch sap collecting. The first -make a hole 11-12 mm (0.4”) and a depth of 4-5 cm (1.5”) by a drill (gimlet) in the trunk of a tree on the south side at a height of 1.5 m (4.9′) obliquely upwards. Hammer sharpener (wooden sleeve with a length of 10-12 cm (3-4”)), which has a hole 4.5-5 mm (0.15”). Juice flows into a tied dish. During the day, in the midst of a good birch sap flow you can get more than a bucket of juice. At the end of the collection sharpener is taken out and the hole is closed with a wooden stopper. The second method is break off the tip of birch twig and put a bottle on it. The collected juice is immediately transferred to a warm room, filter and pour into an enamel bowl, it can be in wooden tubs. Juice does not last, so for long-term storage it must be pasteurized. For fermentation add fermented mash. To mash, honey is diluted with heated juice at the rate of 1:2 (3) and cook. Remove the foam with a slotted spoon. Mash is processed when foaming stops. Pour into a container with birch sap (100-150 g per 1 l.) (5 ounces per 33 ounces). Brodeur is made in advance, take 10 g (0.35 ounces) of pollen together with 50 g of honey (1.76 ounces) diluted in 1 liter (33 ounces) of warm juice. The vessel with the mixture is covered with gauze and keep for 3-4 days in a warm place until the liquid hisses. The finished fermenting wort is poured into a mash in a rate of 1 liter (33 ounces) to 12 liters (bucket) (405 ounces). You can use the yeast better sublimated. Put 10-15 g (0.35 ounces) of yeast into the honeywater, put this mixture into the wort (50 g per 1 L) (1.76 ounces per 33 ounces) in one day. Add one or two sliced lemons for each bucket of mash. After all the above operations it is ready. It must ferment, and you get honey and birch brew of excellent quality. The process of fermentation at 20-24 ° C (68-75 F) lasts for 4-5 days, then it is bottled in champagne or plastic, carefully sealed and you put in a cool place. During the month it lighten. Ready brew tastes like dry wine. Use it as a light alcoholic drink diet. 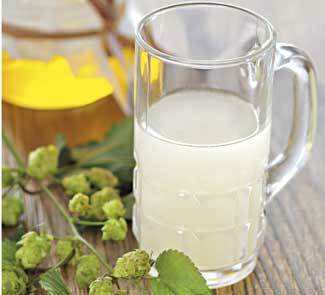 This brew as birch sap – a strong diuretic. 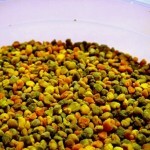 It is useful in diseases of the kidneys and to remove the excess fluid from the body. At a temperature of 5 to 12 ° C (41-53 F) it can be stored up to seven months, further it sours excessively and turns to the so-called birch soup, which our ancestors used for the preparation of many meat and fish dishes. 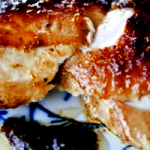 Meat and fish, processed with birch soup, are better digested, so the gastric tract walls are protected from premature wear.